We used 41,999 LED's to illuminate this ride. 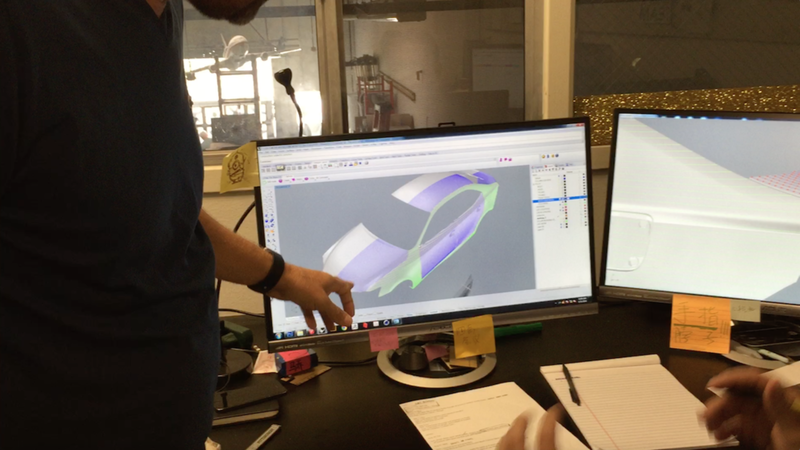 We believe in a harmonious union of digital and physical. 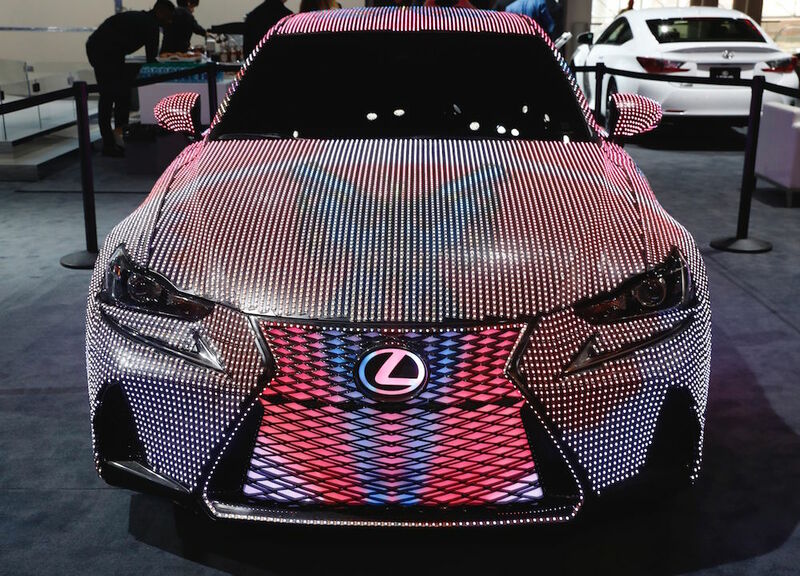 Working together with creators Team One & Tool of North America, The Lexus “LIT" IS showcases our synchronized workflow of digital mapping, painstaking physical application of 41,999 LED’s, and digital programming. The result was an adaptable system projecting amazing lighting effects. 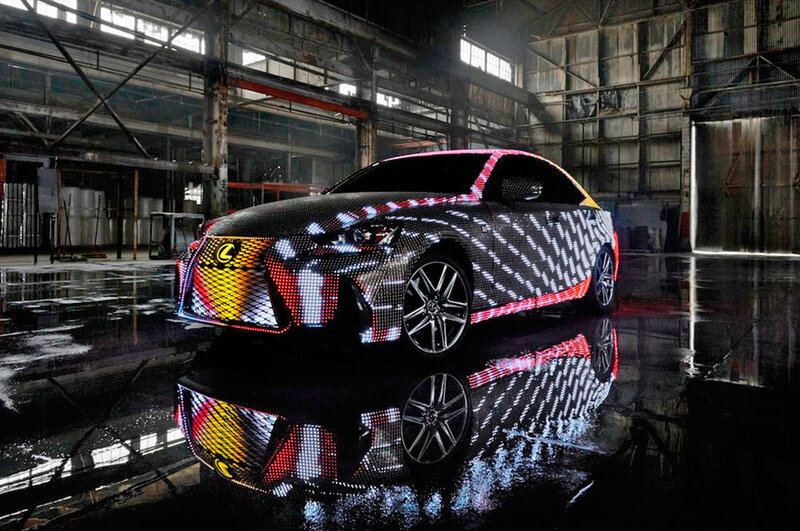 This luminous vehicle has made multiple appearances beginning with a digital campaign titled Lexus LIT IS Reveal. It also performed a cameo role in a music video featuring pop sensation Dua Lipa. Dua Lippa's "Be The One" music video. Over the holidays, it was even available on the Internet as an alternative to the traditional burning Yule Log. 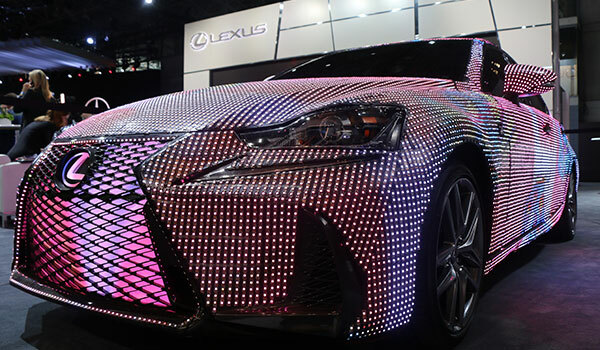 As the official car for Fashion Week in New York, the Lexus LIT IS created a scene in New York's iconic Grand Central Station. Check out the news coverage below from Fox Business Network. This past Spring it made an appearance at the Golden 1 Center for Tech Night, hosted by the Sacramento Kings. More recently, the Lexus LIT IS stunned viewers and car enthusiasts alike at the 2017 New York International Auto Show. Follow #LexusLITIS on Instagram below!